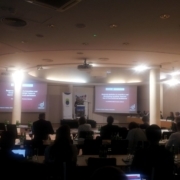 DevStat participates at the SCORUS 2018 Conference held in Warsaw (Poland) on 6-8 June with a communication on “Technical assistance in regional statistics to transition and developing countries: lessons learnt from users and producers” prepared by Jose Cervera (CEO) and Florabela Carausu (Consultant). SCORUS (Standing Committee on Regional and Urban Statistics) is the international network for regional and urban statistics providing a platform to facilitate the development of urban and regional statistics and research, a committee of the International Association of Official Statistics (IAOS). 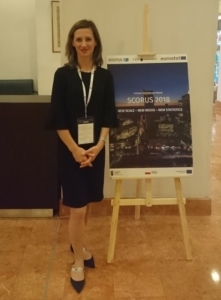 Under the topic “New scale – New needs – New statistics” SCORUS2018 brings once again on the discussion agenda most recent developments and challenges for regional and urban statistics. The objective of DevStat’s communication was to present to the community of SCORUS a particular aspect of the activity in statistics, that is technical assistance. Through this new contribution to an international conference, DevStat strengthens its role as facilitator of the dialogue between diverse stakeholders of (official) statistics and reconfirms the active participation in policy and research activities.